And a good hair day is about how you feel, not just how you look. It means walking into a room and turning every head; it means carrying yourself with confidence; and it means catching a glimpse of yourself in the window and liking—no, loving—what you see. And it all starts with a JOOJ Blow Dry experience. From the moment you step into one of our mobile Airstream salons, you get more than great hair—you get a good hair day. *NEW* ANNOUNCING MEN'S AND WOMEN'S HAIRCUTS AT ALL OUR WEEKDAY LOCATIONS - OUR STYLISTS ARE PROFESSIONALLY TRAINED TO OFFER STELLAR HAIRCUTS IN ADDITION TO GREAT BLOWOUTS! 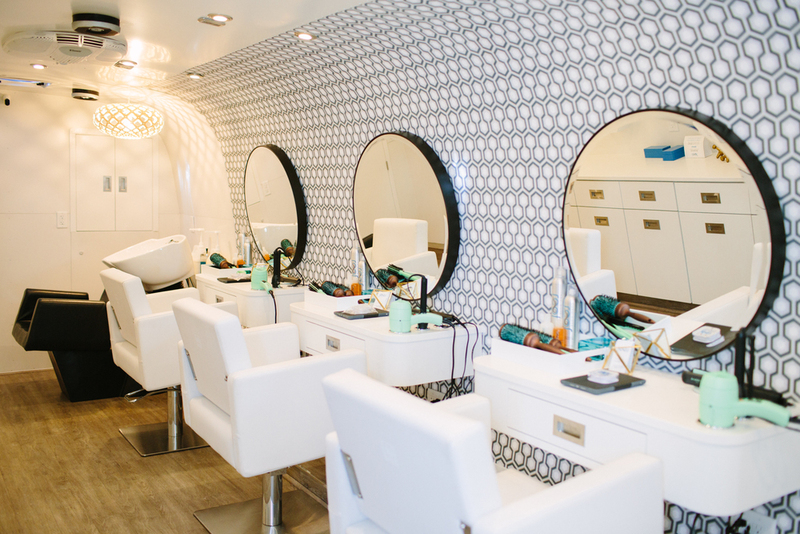 JOOJ offers a 360 degree blow dry experience. For all kinds of hair. JOOJ is hiring licensed stylists that believe everyone deserves a good hair day. Bring JOOJ to your corporate campus, hotel, or event space. We are looking for North Shore partners where we can bring our experience to your doorstep. IN CASE YOU WERE WONDERING, IT'S PRONOUNCED "ZHUJ." A quick primp can turn familiar into fabulous, and do wonders for how you feel. There’s a term for this in the fashion world: Tszuj. We put our own spin on it, making it both playful and attractive -- JOOJ stands for great hair and an even better experience. We don’t just make you look good. We help you feel good. Because everyone deserves a good hair day. JOOJ IS A MOBILE BLOW DRY SALON BASED ON CHICAGO'S NORTH SHORE. WE DON'T JUST PROVIDE A SERVICE; WE PROVIDE AN EXPERIENCE.